High Quality Content by WIKIPEDIA articles! Piedmont is largely zoned for residential use. 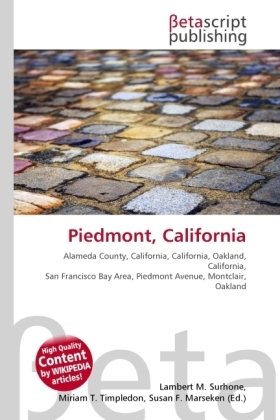 Piedmont has minimal commerce compared with statistically similar cities. Shopping, however, is plentiful in adjacent Oakland neighborhoods such as Piedmont Avenue, Montclair, Grand Lake, and Rockridge. Piedmont has a small commercial district in the center of town located on Highland Avenue, which includes a gas station, three banks (Citibank, Wells Fargo, and Bank of America), a realty office, Mulberry's Market, and some professional offices. A small number of commercial enterprises also line Grand Avenue near Piedmont's southwest border with Oakland.